2015 has seen digital marketers focus increasingly on video, mobile and social media channels. They have experienced a surge in real-time data, welcomed and embraced a whole slew of new technology solutions and struggled with ad blocking software. 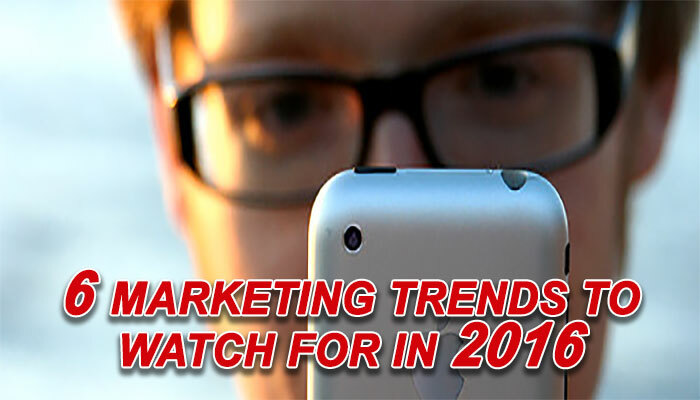 Here are the top six trends to watch out for as we approach 2016. 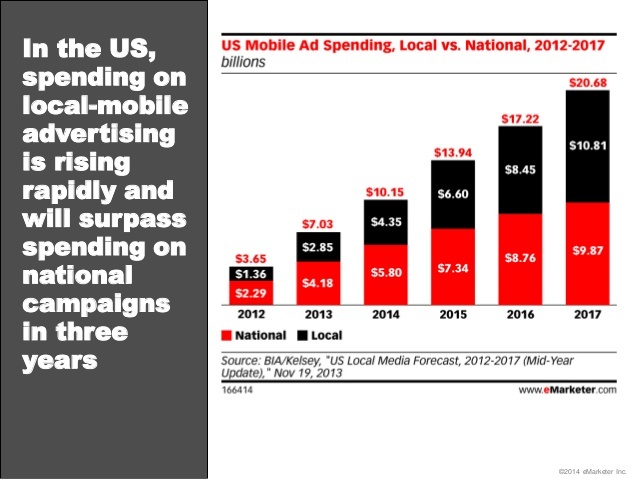 In the US, spending on local-mobile advertising is rising reapidly and will surpass spending on national campaigns in the next three years. marketer’s job. The genesis of new C-level positions like The Chief Marketing Technology Officer and Chief Data Officer bear testimony to this event. However, most marketers are simply overwhelmed by this apparent deluge of data, and are turning to third-party help to decipher and leverage the information available. Despite the challenges, data continues to be the key to modern marketing as it provides a deep insight into consumer preferences. As the volume of the available data continues to grow, marketers will therefore need to sharpen their quantitative skills to leverage the opportunity at hand, for data is here to stay. Social media is the perfect channel for communicating with target audiences – it is the one place on the internet where all major demographic groups, from the baby boomers to the millennials, congregate, exchange news, shop and mingle. It has become the town square of the 21st century, and all marketers want to be part of it. From Facebook to Twitter, Instagram to Snapchat, and LinkedIn and beyond, marketers are busy devising campaigns specific to these platforms in order to reach and service their dynamic customers. Image centric platforms like Snapchat and Instagram have proven to be especially beneficial for Beauty and Fashion brands. A recent blog cited research by Duke University’s Fuqua School of Business, stating that B2C and B2B marketing budgets as a whole are shifting toward mobile, data analytics and social media. 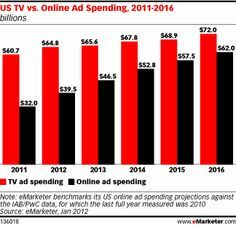 Spending on digital media alone is anticipated to grow by 12.2% in the coming year. 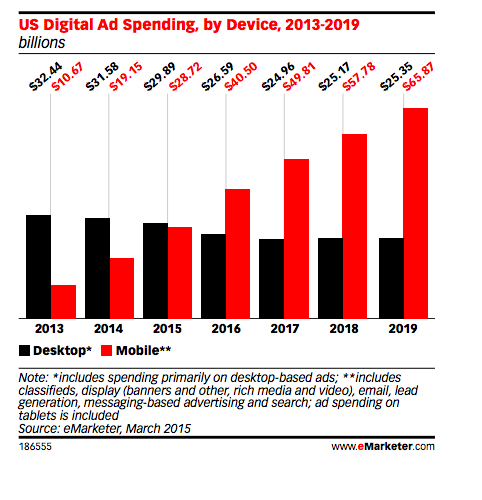 However, in the absence of any accepted standard for tracking views of mobile ads, marketers will continue to struggle with how much of their resources should they turn toward digital. Native ads, also called branded or sponsored content, will make their way in-house. With such names like The New York Times, Fox Sports and Bloomberg Media joining the transition, the move illustrates that publishers now see an opportunity to provide marketers with customized advertising directly. Almost concurrently, native ads are becoming more prevalent in the online space. They are no longer relegated to the sidebar, and are moving to such new areas like the comments section, a move that has led to the argument that while this may benefit publishers looking for revenues, at the same time it poses a risk for brands. PageFair and Adobe’s 2015 Report found that ad blocking software caused nearly $22 billion in lost ad revenues this year. The number of people using an ad blocker tool grew by 41% globally, while the figure stood at 48% in the US alone. This may prove to be a serious concern, as ad blocking will prevent the spread of targeted advertisements and gathering of online behavioral data for further targeted ads. The millennials constitute the single most important target group that the modern marketers want to focus on; influencer-centric social media campaigns offer a way to do so. Research has found that earned media value from influencers during the first half of 2015 was 1.4 times higher than the yearly average from 2014, garnering $9.60 for every dollar spent. Brands are therefore trying to reach out to the millennials through influencers in their attempt to maximize engagement. While 2015 is almost over, 2016 beckons with its challenges and possibilities. A clear understanding of these trends will help the modern marketer stay ahead of the competition and make the most of the opportunities available to them.